"I love making beautiful websites! I have developed websites for clients in California, Oregon, Washington, North Carolina, Tennessee, Illinois, Michigan, Massachusetts, Georgia and Washington DC. The visual examples below represent a sampling of recently completed designs I produced and deployed for these widely different clients. Through careful consultation and discussions with these clients we were able to create just the right look and features." 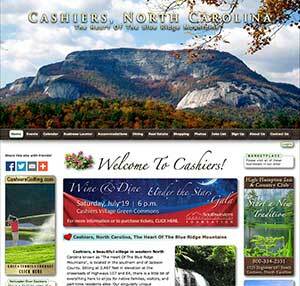 The Cashiers community website was launched in 2009 by Steve as an initial beta of his MemberSites software. Local businesses are encouraged to sign up for free for a listing on the site. The site now has over 530 businesses listed. Last year the site had over 850,000 page views and for nine years continues to be ranked #1 on Google, Bing and Yahoo organic search results! This site is operated as a community public service. 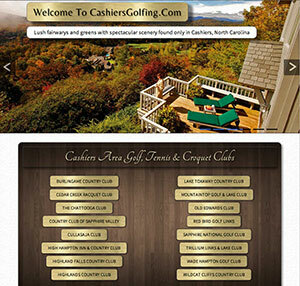 Covering the golf, tennis and croquet communities of Cashiers, Highlands, Sapphire and Toxaway this mobile-ready responsive site was designed to attract and inform visitors to the Cashiers, North Carolina area and to drive web traffic to the CashiersNorthCarolina.com community website. Also, there was no single resource for finding out about the golf communities in our area that was all-inclusive. Now visitors can view extensive information on each golf, tennis and croquet club in the area. A slideshow for each club is provided. Links to club websites, Google map, contact information, course descriptions with yardage and par, and golf pro information are provided. Additional activities are listed if available. In March 2016 ACDkids asked Steve to update the look of their website prior to their convention. Servicing over 5500 providers across two states the site is now mobile-friendly and has a new fresh look while conforming to their branding guidlines. 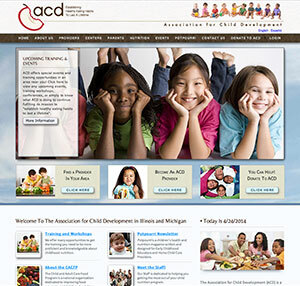 Looking to add an online Subscriber area to their website, ACD Kids asked Steve to design and manage the provider web project. This added administrative and additional secure areas for providers. Additionally, both Michigan and Illinois now have upgraded security and login. Steve designed and built this bi-lingual website for the States of Illinois and Michigan in 2012 and performs ongoing updates and maintenance on this site. 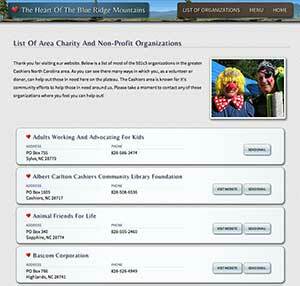 Built as a community resource this responsive website lists all of the non-profit organizations in the Cashiers area. The participating organizations provide contact information, email and web addresses. Steve operates this site as a community service. This website showcases this spectacular mountain home in Cashiers, North Carolina. Created as an equestrian getaway, this site shows off the house, grounds, and the changing seasons. See barns, pastures and a pond with a waterfall. 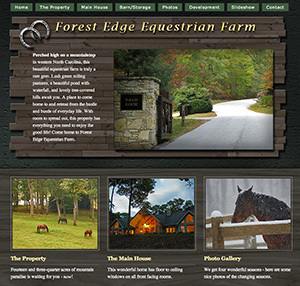 Forest Edge Equestrian Farm has selected Steve Johannessen for their marketing support. This project involved photography, video production and website design. This well-known local construction company was looking for a way to show off their building projects. This was their first website. Steve helped them work through the design requirements to come up with this design. 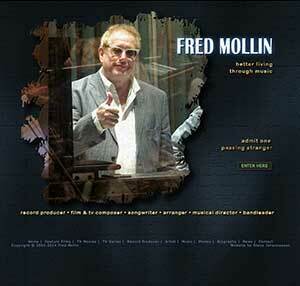 Fred has had an extensive and award winning career in the music business as a composer, producer, arranger and more. 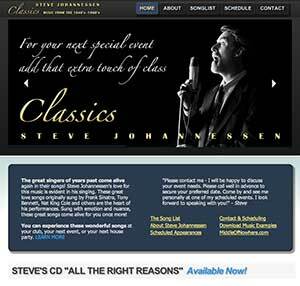 This website features information about his credits, music examples and lists the artists he has worked with. 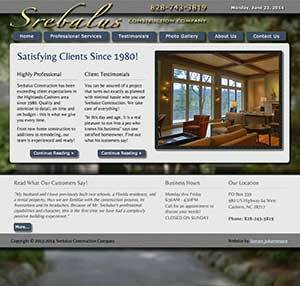 Steve designed and built the site to client specifications and maintains the content updates. 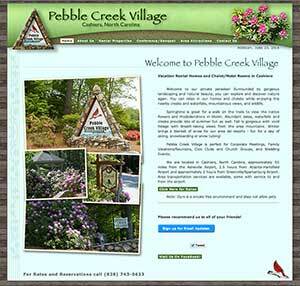 Pebble Creek Village (in the center of Cashiers) has added individual properties pages for all of their vacation homes and conference center. A map was created for the property and added to the website. 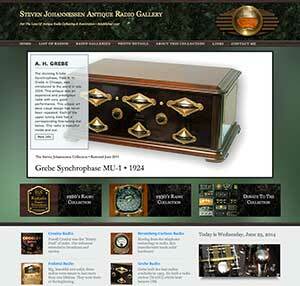 Steve developed and maintains this site for them. After receiving a great response to my performances in local clubs I decided to put up another website to promote my ongoing engagement schedule. Hear examples of the music, check the schedule and see a song list of classics from the 1930's thru the 1960's. This amazing collection of over 200 antique tube radios from the 1920's is the focus of this website and is a visual tribute to this collection and the technology underneath. This collection spans the age of the vacuum tube beginning in 1921 up to 1967. The restoration and preservation of these artifacts of early technology is one of my passions. Also in the collection are a wide variety of speakers, vacuum tubes and a collection of Supreme testers from the 1930's. This update of my online art and visual music gallery website features virtual reality art, some of my music compositions and synthesizer programming, and examples of my graphic designs. 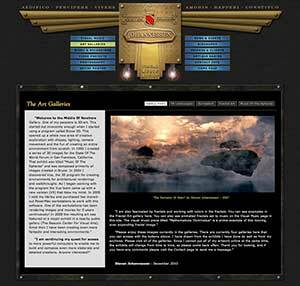 See photos of the famous artists I have worked with and review my extensive client list. This website has been up continuously since 1996 (18 years!) and was my first personal website.